If you are looking for the freshest seafood in Frederick, Maryland and you haven't checked out West Pointe Crab House, you are missing out! 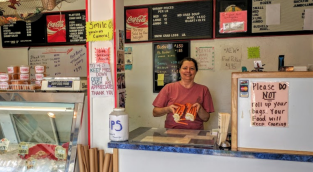 Frederick's Best Seafood Carry Out! 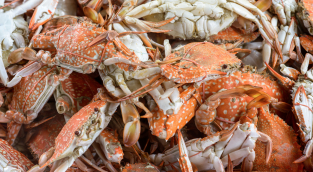 We offer seafood and crabs for carryout as well as bushels of crabs, shrimp trays, and party platters for family reunions, parties, picnics, etc. Offering Steamed Crabs, Shrimp & Fresh Seafood For Carryout Only! We will be closed starting Jan 1 2019 and will reopen in mid-March 2019. Check back for hours. If you are looking for the freshest seafood in Frederick, Maryland and you haven't checked out Westpointe Crab House, you are missing out! They offer bushels of crabs, shrimp trays, and party platters for family reunions, parties, picnics, etc. A new menu this year that includes, Crab Cake Platters or Sandwiches, Oyster and Softshell Crab Sandwiches and MUCH MORE! Westpoint Crab House frequently runs specials and offers online coupons. If we have a coupon, you can find it here. Check back soon for special offers. 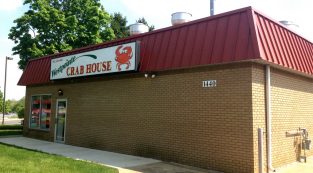 We are conveniently located in the West Pointe Shopping Center near Burger King at the west end of The Golden Mile (Route 40), Westpointe Crab House is continuously expanding their menu to offer you more fresh seafood at a great value.